A million cells in our bodies die every secondthey commit suicide by activating a process called apoptosis or other forms of programmed cell death. These mechanisms are essential for survival of the body as a whole and play critical roles in various developmental processes, the immune system, and cancer. 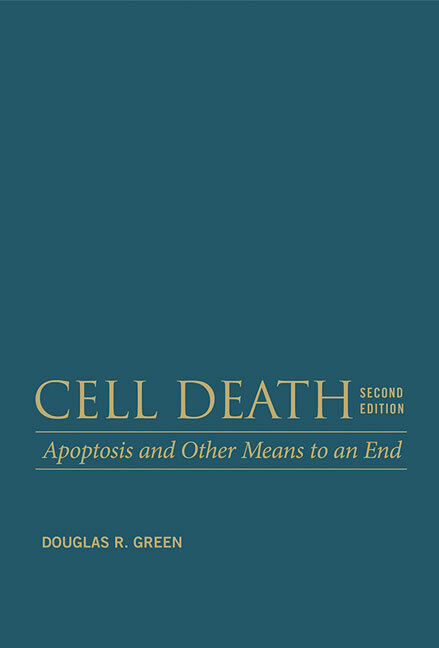 In this second edition of Douglas Greenâ€™s essential book on cell death, Green retains the bottom-up approach of the first edition, starting with the enzymes that carry out the execution (caspases) and their cellular targets before examining the machinery that connects them to signals that cause cell death. He also describes the roles of cell death in development, neuronal selection, and the development of self-tolerance in the immune system, as well as how the body uses cell death to defend against cancer. The new edition is fully updated to cover the many recent advances in our understanding of the death machinery and signals that control cell death. These include the mechanisms regulating necroptosis, mitophagy, and newly identified processes, such as ferroptosis. The book will thus be of great interest to researchers actively working in the field, as well as biologists and undergraduates encountering the topic for the first time.